Have you ever experienced oozing through your eczema skin? Or infected eczema wounds from the relentless scratching? Have you been searching high and low for the answer to: what is the best way to treat eczema wounds? Here I present the best creams for eczema wounds, through years of experience battling alongside my two eczema warriors. Many people do not know this, but actually whatever we put on our skin, if it penetrates the skin barrier, it would enter the bloodstream more directly than the path our food takes through the digestive system. So what is the best way to treat eczema for all its painful sores? – it is to ensure that whatever creams we apply on the skin warrant at least the same care, attention, and stringent criteria as what we put into our mouths. In fact, I will check that the ingredients used are so natural that they are edible. Moreover, our standard for recommending any commercial product for topical application on the skin is that it must be all natural, with no toxic chemicals (like the nasty SLSs, triclosan, etc.) or other additives in the form of preservatives, fragrances, etc. So what are the best eczema creams for oozing or infected skin? These best creams for eczema recommended here are suitable for use when you are in the midst of a flare, with weepy skin, and yellowish or colourless liquid oozing out from the skin. For more information on the symptoms and sign of eczema, you may like to refer to this website: eMedicineHealth. Zinc is the most effective substance, for us, in drying up weeping and oozing skin. Anything containing zinc oxide will work, and we have chosen the most natural products. As for scratch wounds on broken skin that are red, inflamed, and look like they are about to be infected, sulphur works well for us. A form of sulphur, called methylsulfonylmethane (MSM), is found abundantly in many plants and herbs. It is effective in reducing pain. It is also an anti fungal and antibacterial agent, hence reducing inflammation and soothing painful and itchy wounds on skin. If you’re looking for a moisturiser which can function as a regular maintenance for your eczema skin, head over to this article where I recommend the most natural moisturising balm. Click to buy this amazing product from amazon! Yes, this is my affiliate link. Moogoo is one of the companies I absolutely love, as they are all about natural. The founder adapted a cream used in dairy farms to help a family member with a skin condition. The original cream was used for the cows’ udders, to heal them and keep them in good shape for milking. The ingredients used are natural and full of skin repairing properties. 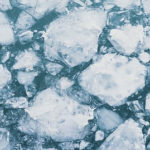 Aqua, Zinc Oxide, Sunflower Seed Oil, Cetearyl Alcohol (Plant Based Emulsifying Wax), Olive Fruit Oil, Jojoba Seed Oil, Shea Butter, Evening Primrose Oil, Tocopherol (Natural Vitamin E), Polysorbate 60 (Food Grade Emulsifier), Calendula Officinalis Flower Extract, Matricaria Flower Extract, Allantoin, Piroctone Olamine, Hops Extract. Moogoo Nappy Balm uses edible oils and zinc oxide, which together make a natural balm that acts as an emollient barrier to help prevent moisture contacting the skin. Zinc oxide also dries up ooze, and allows healing to take place effectively. It is of the right consistency that will stay in place even with the ooze. Hence, it is one of the best creams for eczema wounds. 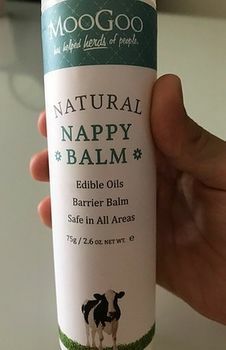 Despite what its name suggests, we use this nappy balm anywhere on the body that starts oozing. My son, J, will apply it on his hands or arms, chest, back, legs, etc. anywhere that is needed, the moment the first sign of ooze appears. Normally, the ooze will stop at most after the second application. After just one application, it would have dried up substantially. If you are using this for the first time, as with any other new product that you are using, please do a patch test on a small area of the skin and watch for any reaction. Natural ingredients can also be allergens to some people. Should you find your eczema flaring suddenly, and you had just run out of Moogoo Nappy Balm, or you were outside when this sudden flare happened, do not panic. Just head to any pharmacy, and look for any diaper rash cream. They should all contain zinc oxide as the main active ingredient. Some good ones are Desitin Maximum Strength (this contains 40% zinc oxide) and Desitin Rapid Relief Cream (this contains 13% zinc oxide). 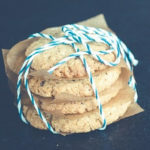 The problem is that the other ingredients are not likely to be all natural, so it can serve well as a one-time emergency use, to help you tide over the sudden flare. But I wouldn’t use it as my go-to for subsequent flares with oozing, as I would be better prepared with a more natural cream then. Aqua, Dimethyl Sulfone (MSM Organic Sulphur), Cetearyl Alcohol (Plant Based Emulsifying Wax), Sweet Almond Oil, Coconut Oil, Olive Fruit Oil, Aloe Barbadensis Leaf Juice (Aloe Vera), Squalane (Olive), Piroctone Olamine (Olamine Salt), Guar Hydroxypropyltrimonium Chloride (Guar Gum), Polysorbate 60 (Food Grade Emulsifier), Mel (Honey), Allantoin (Comfrey Root) Extract, Acetum (Apple Cider Vinegar), Pear Fruit Extract, Vanilla Fruit Extract, Citric Acid (Natural Preservative), Tocopherol (Natural Vitamin E), Hops Extract. This MSM cream is able to heal scratch wounds effectively. If the wounds are very raw, we would use Moogoo Nappy Balm first, to let the wetness dry up, before applying this soothing and calming MSM cream. It also reduces itch on the skin surface for my son J. So he knows this is the other one of the best creams for eczema wounds that he can reach out to, after his scratch fest. Again, remember to do a patch test if you are using this for the first time, to ensure that you do not react to any of the ingredients. In searching for an eczema cream, I came across this other reliable and natural product, made by a mother whose son went through topical steroid withdrawal. This home made balm helped him through the most grueling times of withdrawal. It has also helped my son through his. The ingredients are not listed, as the balms they sell can be customised to each individual’s needs and allergies. You can view the long list of ingredients, all natural, used for their entire range of products if you scroll to near the bottom of their homepage. If there is any ingredient of concern, contact them directly to check whether it is used in the specific product(s) that you intend to purchase. Besides zinc balm, they also have lemongrass balm, calendula balm, black seed balm, shea balm, chickweed balm, etc. Everyone can heal with the gifts from nature, we do not need chemicals and synthetic drugs. To know what is the best way to treat eczema with creams, always simply reach for the most natural eczema creams that suit your own skin. 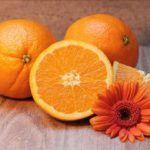 If you would like even more natural remedies than the creams recommended here, for instance, using the raw ingredients of garlic and ginger, then hop over to this other article: how to treat infected eczema. If you need other eczema treatment options, you may want to refer to this website: WebMD or this: National Eczema Association. Oh wow, I wish I had come across your post when we were battling with eczema… I did use udder cream, but not an all-natural one like this one, and it didn’t make much difference. I ended up making my own creams with essential oils, but they were oil-based and the healing would take longer… We got there in the end though, and I’m going to make a note of this zinc/edible oil combo in an aqueous cream. Thanks, Joo! I’m so glad for you that eczema is behind you now! You’re amazing, to have made your own creams. It’s the fool proof way to know what really goes into the creams, and have the total control to avoid any stuff that may cause you to react. I know many people do make their own. Maybe I should do that too one day. Thank you for the inspiration. Making your own cream can be daunting, but it is genuinely the only way to be sure of what you put on the skin. And I was genuinely desperate, the eczema was combined with HPV warts on my little one’s legs, so the itch-scratch cycle would only make them raw and spread them further. So I took the base ingredients I used to soothe her and added a mix of anti-fungal and anti-bacterial essential oils, as well as some eczema soothing ones. And it worked. After 6 months of battling this nightmare. She could stop covering her legs (despite the heat), she could swim again, play on the jungle gyms, a different child! Your daughter is blessed to have a resourceful and hardworking mother like you. At the end of the day, when you watch her play in such a happy and carefree manner, you will tell yourself it’s all worth it. Thank you for being such an inspiration. I find your article on the topic of what is the best way to treat eczema because I have seen numerous people in my life suffer with this. Never got into the treatment for it, but on recollection, it was never working! David Attenborough once said that all natures creatures know their own food source and they know what is it. To apply that idea to natures cures is only a natural continuation. I don’t suffer from eczema, but I did have a problem with my stomach once. Went to the chemist – paid money for a product – and it failed. Bought another product – it failed. Bought another one – failed! Six products! I spent a fortune – lol. Finally I spoke to someone there that gave me a listen and I was in a desperate state at this point. I could not keep food or water in my system. This was going on 9 days hehe was so thirsty. Anyways, one last product worked. What to know the ingredients?- They sold me some fancy salt water. Uggg. Yay, I am turning to Nature now and I am so happy you are drawing our attentions to cures that nature has developed through eons of existence. Don’t get ripped off people – see if mother nature has you covered first. Google it and find article like this. Articles like this even get copied by Doctors in the Health, and yet when you go to their surgeries, they will prescribe what they can make the most money from – what happened to their Oath of Do No Harm? Morally inverted world. Not to worry – we have good people like Joo pointing us in the right direction and for that I am grateful for it or we be pandering to cooperate synthetic ‘solutions’ forever. Thanks Joo and yet again another useful and fantastic article to answer what is the best way to treat eczema. Oh my, 9 days not being able to keep any food or water down must have been torturous! I’m glad you finally found what worked, and it actually turned out to be nature’s solution! I totally agree with what you quoted from David Attenborough. Growing up in my Grandma’s home, I have often seen her cat going outside to chew on grass whenever she was ill from vomiting or some stomach upset! And she (the cat) would recover by the next day. I was fascinated by how she knew what to take to heal herself of her ailments. Thank you too, for all your kind and encouraging words. 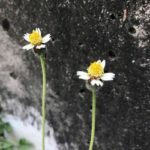 They made my day, and give me the strength to carry on writing about how to heal eczema naturally. Yes, do let your friends know of these ways to treat eczema. If it can help anyone, I’d be so happy that all these is so worthwhile. Gifts from nature, absolutely true! I love that you are promoting natural products rather than advocating lathering skin in toxic chemicals! Thank you. 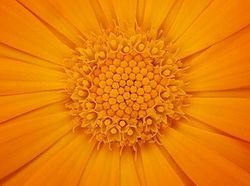 Yes, I firmly believe that nature can heal us most effectively and without side effects, if we listen to our bodies attentively and keep our eyes open for the cure from nature, some day we will find it. Hi there, thanks so much for your post, we have been in battle with eczema for 7 years with my son. It is relentless. I was aware of zinc but not of sulphur, so thank you – I will check that out. The thing that has been a godsend for us is moisturiser every day, even when he thinks he doesn’t need it. Thank you, I’ll be bookmarking your site. I’m so glad you found this post helpful. Yes, it is important to keep moisturising, I agree with that. Dryness tends to make the skin itchy, which starts the itch-scratch cycle. I hope your son’s eczema has improved and hopefully one day all these eczema warriors will grow out of this terrible condition. Ah thanks so much for this advice! I’ve had eczema for years and am so overwhelmed by all the products and creams out there! But that definitely makes sense that we should be using more natural products and check the ingredients before we purchase! I am going to try Moo Goo and give that a shot! I’m glad that you found this reminder to use natural products helpful. 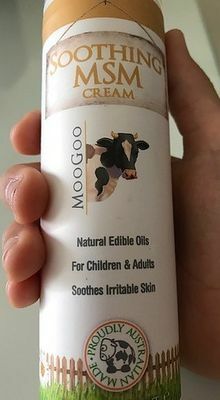 We absolutely love MooGoo products. Do let me know how it works for you after trying it! 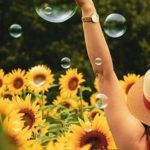 I am have a friend who had been battling Eczema for a while, This article was very useful to her! Thank you so much for such rich context that is so easy to read! Keep it up! Thank you for your encouraging words, and I’m so glad your friend finds this useful. Thank you for sharing this information with us. I like that you recommend only what comes straight from nature, without any nasty chemichals and drugs. Your post is going to help a lot of people. All the best, Ivan. Yes, it’s going to be all natural for us, and for the people who come across this website… hopefully. That is a very valuable information you shared. I was in active search of natural organic eczema cream. A lot of times specialized creams contain so many chemical components that I really doubt on how effective is for the already damaged skin. Another thing that worries me is that all these chemicals are getting observed by your skin and can actually hurt your overall health. I liked that the creams you recommend have only natural components and minimum ingredient list. I also heard that vitamins E and A combined in a cream could also treat effectively skin problems. Have you heard anything about it? I’m glad that you found this post useful. Yes you’re right that the chemicals do get absorbed by the skin directly, so sometimes a cream may do more harm than good. I haven’t heard about combining vitamins E and A in a cream, though. I must go and check it out. Thank you for this information. I believe that the products from natural ingredients is always the best and I’m happy to know that I can finally try some natural creams, which can help me fighting eszema. I hope they will help me. Thank you for your posts, they are very informative and helpful! I’m so glad you find this post helpful. Yes, do give the natural eczema creams a try, but do remember to patch-test on a small area, whenever you use any product for the first time. Some people react to even the most natural ingredients. I don’t think I’ve ever had a problem with eczema before although I might have had it when I was a kid. Anything that has to do with the skin can be extremely annoying.But it makes sense that a natural way to treat it would be the best way. Eczema can get real troublesome if you get it all over your body too.It seems as though your Moogoo products will do the trick and treat the eczema. Does it keep the eczema at bay and how often do you apply the products? As eczema is an internal issue, I don’t think there is ever a cream (if you know of any, let me know!) that can ‘cure’ eczema. We still got to look into the root cause like diet, allergies, etc. 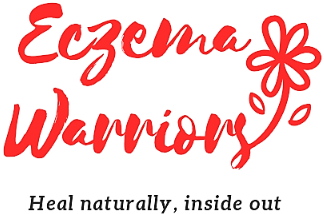 But creams can definitely help in alleviating the symptoms, like calming the itch and inflammation, so make the eczema warrior more comfortable, and allow the skin to heal better and faster. Zinc Oxide sounds totally right. I’ve had some knowledge in regards to it being involved in sunscreens. 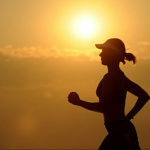 Essentially it’s considered the best option for those as it does not mess with your skin or the rest of the organism. Same must apply to the creams for eczema. But above all, thank you for all the insights, I learned a thing or two, it will definitely help my eczema warrior. I’m so glad that you pointed out about the polysorbate 60. I went to do some research on it, it seems that polysorbate 80 really is some bad stuff, as shown by this link. But I can’t seem to find a lot of information on the polysorbate 60 that was used in these creams. I will just link this data from EWG’s ingredients database, it seems like it’s not so bad, on a rating of 3 out of 10. Though if there were another natural cream with all natural ingredients and without this polysorbate 60, that would be even more ideal. I will surely get back here if I find anything else. Thank you, appreciate your knowledge on this, and for sharing it with us.